The Finnish Meteorological Institute (FMI) utilises all-sky cameras (ASCs) for imaging the aurora borealis, the Northern Lights. All-sky cameras use special optical elements such as fish-eye lenses or spherical mirrors to acquire an image of the whole sky in one shot (hence the name). One ASC image covers a circular area with a diameter of about 600 km at 110 km altitude. 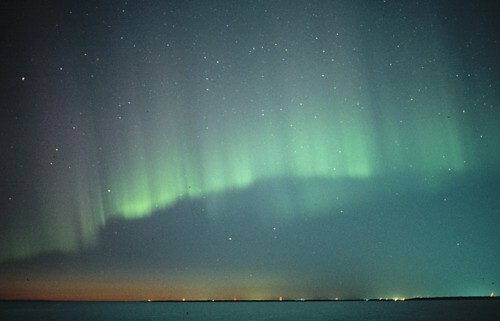 The Geophysical Research Division of Finnish Meteorological Institute operates several all-sky cameras in wintertime and the main scientific interests are in long-term auroral observations in Finland. The old FMI cameras that use "ordinary" film were used between the years 1973-1997. The old cameras were replaced with digital cameras during the years 1996-1997. Three colour imagers and two electron multiplication CCD (emCCD) cameras became a part of the MIRACLE network in the at beginning of the new millenium.